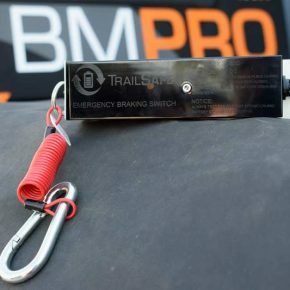 BMPRO’s TrailCheck is an additional remote trailer battery monitor system. 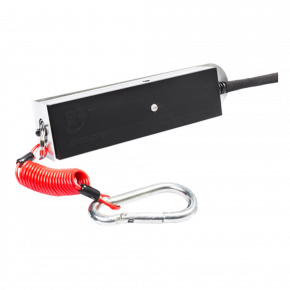 TrailCheck is an additional remote trailer battery monitor system in the tow vehicle. Use it with TrailSafeBT break-away safety system, available from our store. 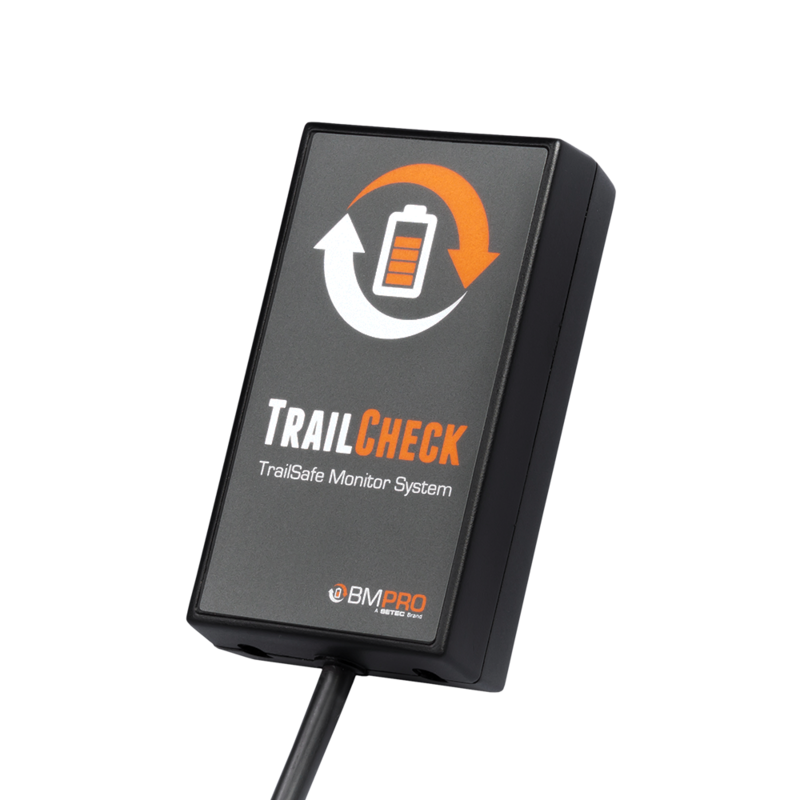 As a wireless solution, TrailCheck communicates with TrailSafeBT via bluetooth. NSW has the extra legal requirement to have a remote battery monitor onboard. The driver should be able to see or hear it, and it also should indicate that the breakaway system has a charged battery. Is your caravan regestered in NSW? – Don’t go camping without onboard monitor TrailCheck! 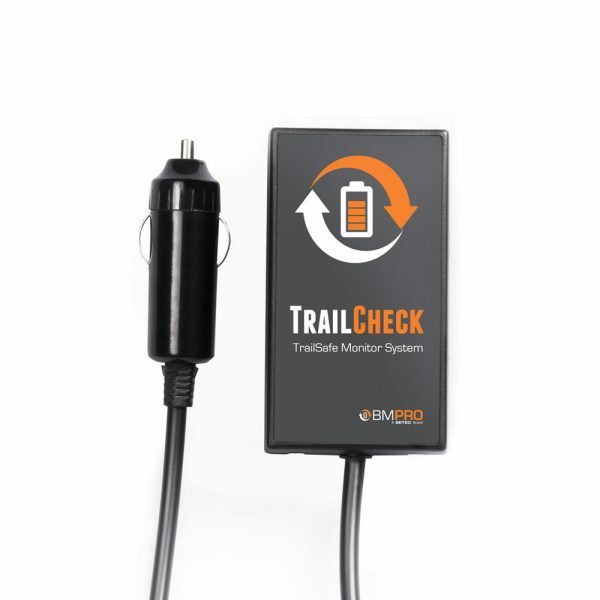 The TrailCheck will indicate system status with blue, green, orange or red LED indicators. For example, green light indicates the battery is charged enough for over 15 minutes of operation – and that’s what you need in case of emergency. Mount TrailCheck with the provided velcro strips and plug it into a 15A (or lower) fused vehicle 12VDC Outlet or Cigarette lighter. Then pair it with the TrailSafeBT and test it. You are now safe to tow your caravan! Does the TrailSafe need to be connected to a secondary battery to function? No, the TrailSafe connects directly to the house/main battery. This means that no additional battery and no additional controller is required. How can I test to see if my TrailSafe is working properly? 1. Remove the pin from the physical TrailSafe unit. 2. Once LED’s have lit up, refer to LED chart below for reference. 3. If the voltage of your battery is sufficient, the TrailSafe is functional. Can I install the TrailSafe myself? We strongly recommend that a trained auto electrician installs this product. Does the TrailSafe meet Australian regulation for break-away systems?